Riders - every year we strive to make this event better then the last - please help us by completing this feedback form so we know what's important to you! It was a stunning day today at Signal Hill, with near on perfect trail conditions. Congrats and a huge thanks to everyone that came to race, to the volunteers and to our great sponsors. Check our facebook and instagram pages for all the photos and stories from the action. A full recap with final photos will follow in the coming days. Below are the results from the first day of racing. It was a challenging day for many people, with extremely slippery and technical conditions. Well done to everyone that made it through. See you tomorrow. Your start times have been emailed to you all. Please check your emails! Registration is at the bottom of Signal Hill from 4-8pm. You can park up at the new carpark, but please drive easy through the school area as school is still on. If you have an EWS number, you will be asked to include this on your waiver form. And don’t forget if you are under 18, you need a letter from a parent or guardian. 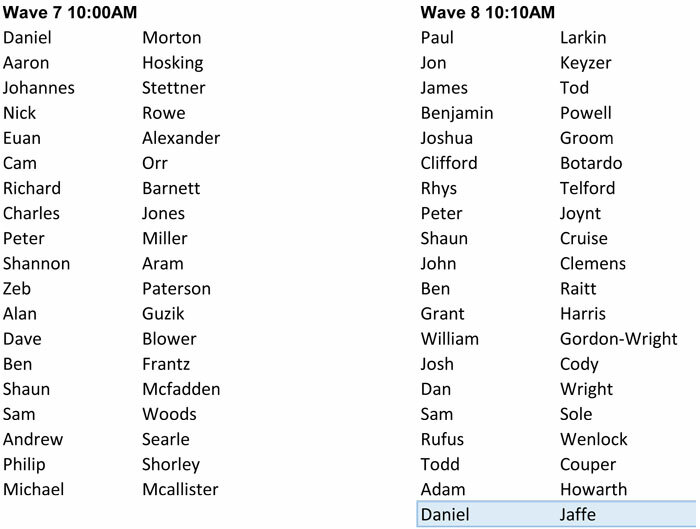 Here are the start waves for Saturday with your start time. 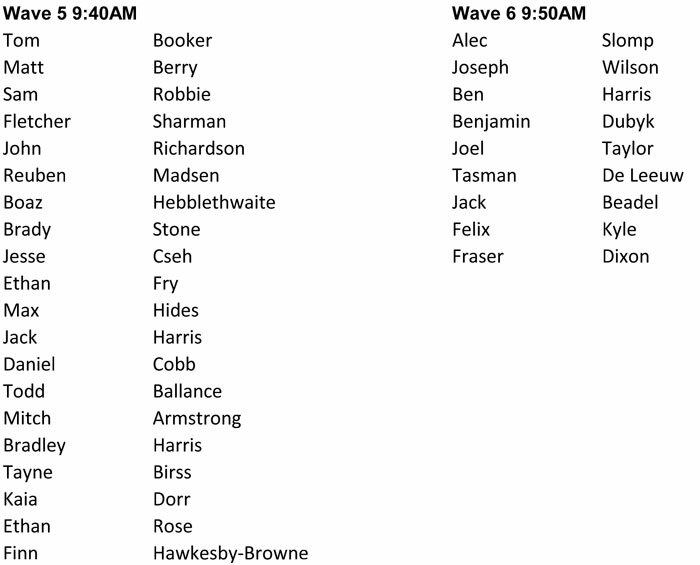 Please let us know if you have an issue with your start wave at rego tomorrow. Registration is tomorrow at the bottom of Signal Hill from 4pm to 7pm. We will open the carpark for this, so you can drive on up. If for any reason you can’t make it, please contact Robbie (robbie@bikeotago.co.nz) to let him know and you can get your number on Saturday instead. Day 2 will all be based at Signal Hill. We will have the new car park open, however we expect it to fill up quite fast, so overflow will be at the Logan Park high school carpark. Classic race riders will do all 3 laps of the hill and Challenger riders just the first 2 laps. All riders must start from the bottom of the hill and check in with us. Absolutely no shuttles allowed. Riders will race in reverse order based on their This will be held straight away after the event on Signal hill. The tracks are live now on trail forks here. They will be marked tonight (Thursday). If you are out riding, please respect the track markers. Here is the info for day 1’s course. The big epic day will be split into two sections this year… 3 tricky and technical stages at Whare Flat, followed by 2 more long super hard stages including the Pineapple track/Pepper tree and Nicoles enduro line. Yip, that’s right, no Mt Cargill… we are sad about this, but it would have been too big a day to do both Whare Flat and Mt Cargill. Sorry! Challenger riders will only do the Whare Flat tracks, allowing them to finish at their cars and drive to the finish BBQ at Woodhaugh gardens and await the Classic riders. 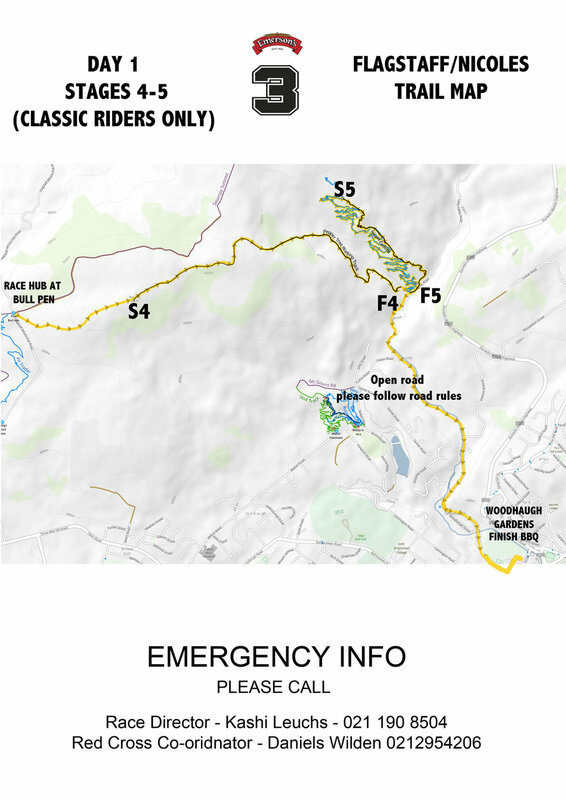 Under NO CIRCUMSTANCES are you allowed to ride down Pineapple track (the first half of stage 4) before race day. Please walk this if you need to see it. It is not highly technical… so best to just focus on practising Pepper tree , which is definitely challenging!!! See below for printable maps as well. Saturday’s start is at the original location, at the Bull Pen on Flagstaff Road. Get there from the Octogan by going up Stuart street, then Taieri Road right to the top of the hill, then turn right onto Flagstaff road. Please park on the side of Flagstaff road. For those in the classic event, If you can carpool or be dropped off to the start this will save everyone lots of hassles at the end, as the finish is a different location and we will be shuttling those in need back to their cars. If you need a bag taken from the start to the finish, please leave it in the car at the startline with BAG DROP written on it. This will be waiting at the finish. Challenger riders will only do stages 1-3 on day 1, meaning you will finish back at the cars. On day one when you get back to the Bull Pen, we will require you to checkin (or finish for the challenger riders). We will give you your intermediate times there, so you can see how the day is going to that point. There will be a feedzone at this point too with water, fruit and lollies. Please make sure you are carrying a bottle as we will not have cups. For classic event riders, once you finish the final stage down Nicoles, you will need to ride yourself down to Woodhaugh gardens, where we will give you your times and have a BBQ and Emersons waiting. Shuttles will start taking riders back to their cars from 2pm and we will announce this over the PA system when the vans turn up.